The City of St. Louis last week issued a $3.34 million building permit to erect the St. Louis Wheel at Union Station, 1820 Market Street downtown. The 200 foot tall observation wheel will tower twenty stories over the surrounding city, offering stunning views of the city’s skyline. Forty-two climate controlled gondolas will each seat six adults. Rides will last 15 minutes and include three to four rotations each. The gondolas will be ADA compliant, and one VIP gondola will include leather bucket seats, stereo system and a glass floor. 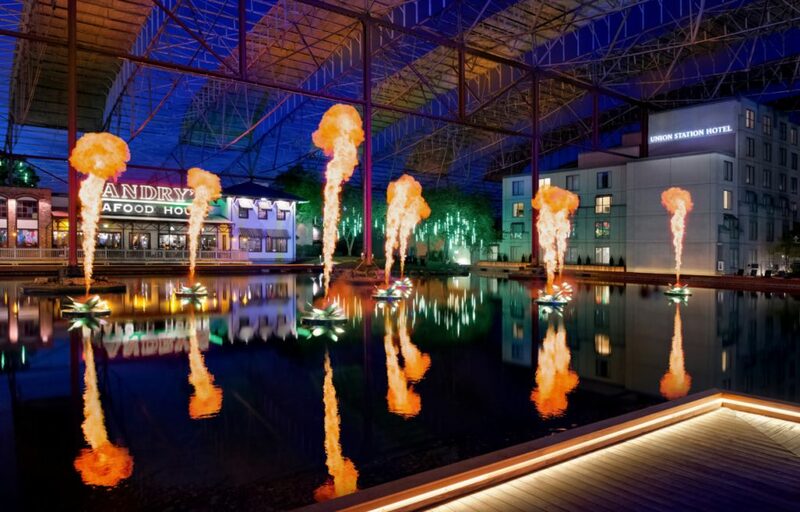 Beneath the shed, repurposed train cars and shipping containers will offer food and drinks, joining the lakeside nightly fire and light show, with its 100 foot high waterfall and 25 foot flames. An $8 million candy emporium similar to Chicago’s Dylan’s Candy Bar soon will replace the shuttered Hard Rock Café, and excursion trains will continue to give visitors a taste of a bygone era. 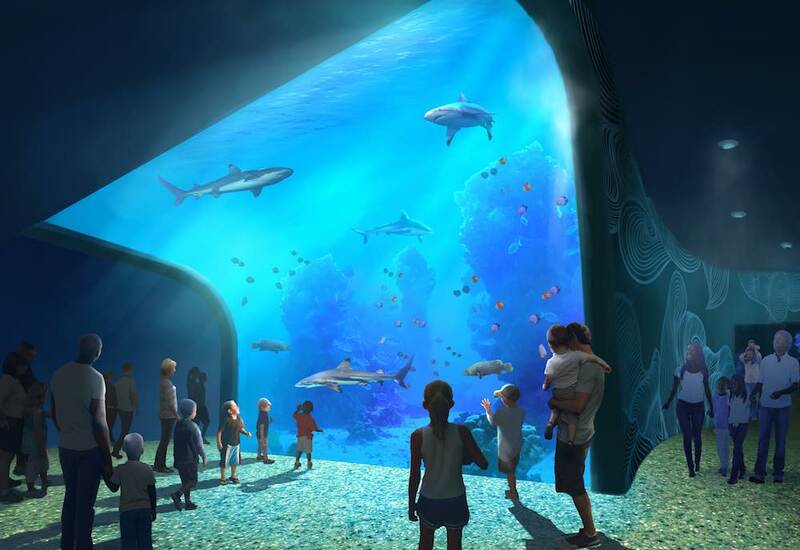 Plans also call for miniature golf, a ropes course, a mirror maze and a carousel. 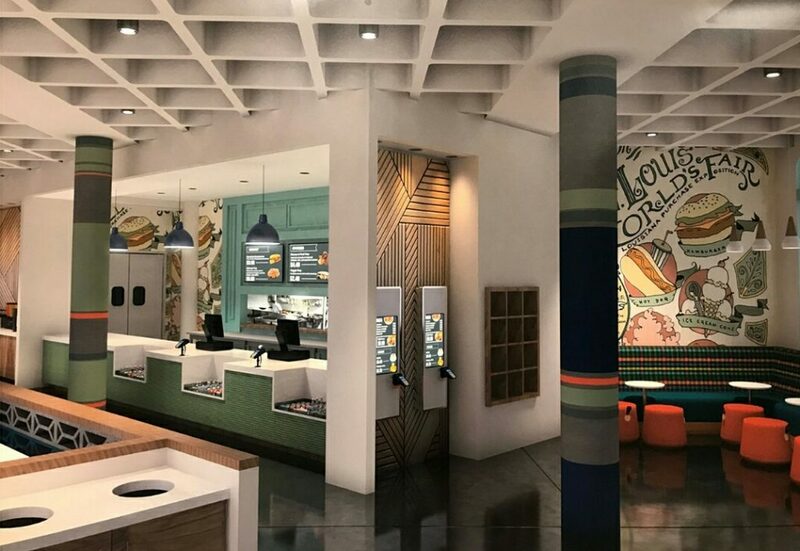 Inside the Station, the Fudgery will be joined by three new restaurants. The 1950s themed Soda Fountain will include a sweet and boozy drink program. The Train Shed will serve American food in the former Houlihan’s location overlooking the lake. Meanwhile, the 1894 Café (pictured) will offer kid-friendly fare inside the Aquarium for families and school groups. 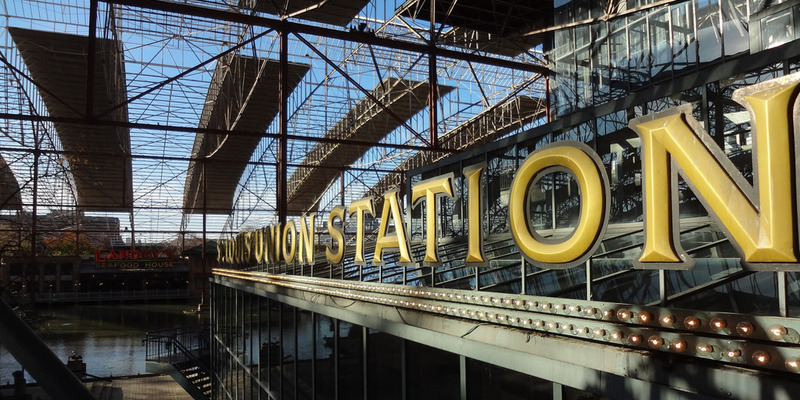 Since renovation, the 539-room Union Station Hotel has been branded part of Hilton’s Curio Collection, a collection of unique hotels catering to travelers seeking local discovery. 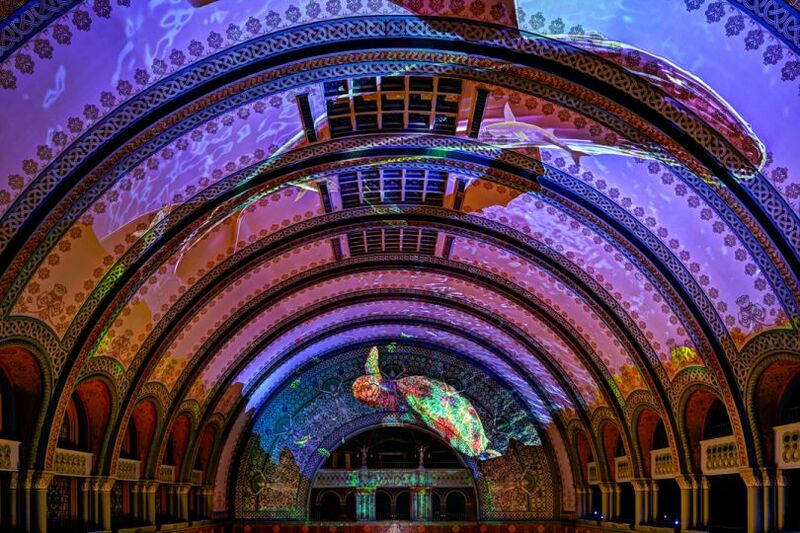 Designed by architect Theodore Link, Union Station opened in 1894 and once greeted more than 100,000 travelers on a typical day. Amtrak moved out in 1978, and in 1985 the refurbished station reopened as a festival marketplace. Now we see the station’s experience-driven third incarnation with fire, water, lights, sharks and lots and lots of moving parts. 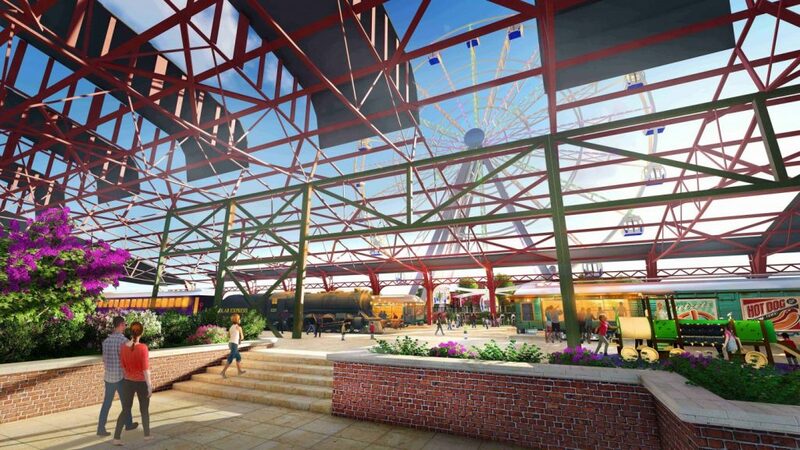 ICON Attractions will operate the St. Louis Wheel, as well as the carousel and other attractions. The St. Louis Wheel will be similar to SkyView Atlanta, which also features 42 enclosed gondolas and rises 200 feet above Centennial Park. The attraction will be open 365 days a year.